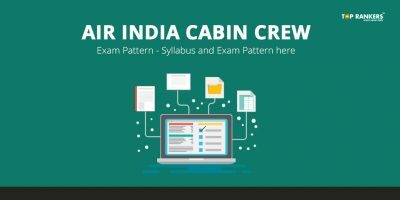 Air India Cabin Crew Recruitment – How to Apply? Air India Cabin Crew Recruitment 2018 – Apply Online for 295 Vacancy. Online applications are invited by Air India from energetic and pleasant individuals for the post of Cabin Crew. Both experience and trainee unmarried cabin crew are eligible. The online application process started on 12th April 2018. And the last date to apply is 2nd May 2018. The tentative written test for experienced cabin crew members is 6th May 2018. The exam date for trainee cabin crew has not been announced till date. You can check their official website regularly to stay updated. We will also be updating any new information that may be announced. Scroll down to read more details. Age Limit – You must be between 18 to 27 years of age as on 2nd May 2018, for the post of Trainee Cabin Crew. And for the post of Experienced Cabin Crew, you must be between 18 to 35 years of age. However, age relaxation rules apply for the reserved category candidates – 3 years for OBC and 5 years for SC/ST category. Trainee Cabin Crew – You must have cleared 10+2 Standard and have a 3-years degree/diploma in Hotel Management and Catering Technology or Travel & Tourism. Or you must have a Graduation degree. Experienced Cabin Crew – You must have cleared 10+2 Standard from a Government-recognized board. Experience – You must have minimum 1 year of experience as Cabin Crew in a scheduled airline abnd ahve a valid SEP for Airbus or Boeing family aircraft, as on the date of application. If you are considered eligible, you will be called for a Preliminary Medical Examination. If you clear that, you need to appear for a Written Test. Eligible candidates will be called for a Preliminary Medical Examination. Those who clear this round has to appear for a Personality Assessment Round. Again, if you qualify this phase, you will be called for the Written Test. And click on Apply Online link. Now, click on the specific post you want to apply for. Now, upload the scanned copies of the relevant documents. Pay the application fee of Rs.1000 via Demand Draft. So, tell us, did you find our post on Air India Cabin Crew Recruitment 2018 – Apply for 295 Vacancies Here helpful? Then, keep visiting us regularly for more job notiifcations and recruitment updates. And do share your thoughts with us in the comments section below. ‘Cause your opinion matters! 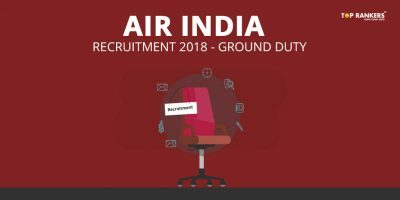 Air India Recruitment – The most renowned airlines “Air India” has issued a notification for Air India Cabin Crew Recruitment to recruit for 500 cabin crew posts. Check all the details here. Want to associate with world’s one of the most famous airlines? There is a golden opportunity waiting for you! Yes, Air India Limited has invited applications to fill 500 vacancies for the posts of cabin crew on a fixed term engagement basis for the period of five years. Applications are invited from the young and unmarried males and females. The vacancies are for northern and western regions. 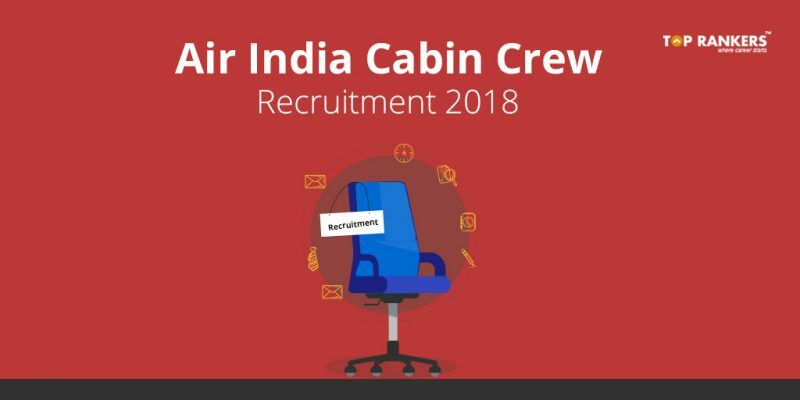 Read this article on Air India Cabin Crew Recruitment 2018 to know more about the recruitment, eligibility, last date to apply, how to apply, application fees and all other details. A candidate must be 10th Standard passed. Must have a valid SEP for Airbus or Boeing family aircraft. For Air India Cabin Crew Recruitment, you need to fulfill the following Physical and Medical requirement. Each and every requirement is given for both male and female separately. Normal on Ishihara/Tokyo Medical College (TMC) Chart. The applicant should have a clear speech, no stammering, lisping. Command of the English/Hindi language should be very clear and in an understandable accent. The contender should be Fluent in English and Hindi. 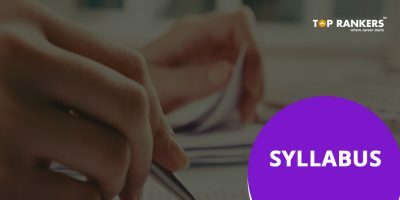 Note: You will not get the written test details in the official notification. Click the Direct Link to apply for Air India Cabin Crew Recruitment. Fill the online application form carefully, with all your details. Upload your scanned photograph with the size of 10kb – 35 kb. Upload the filled medical certificate. Alternatively, you can visit the Official Website of Air India. Then, follow the steps from 1 to 5. After training – Rs. 18400/- per month + Rs. 21,125/- flying allowance at 70 hours of flying. We hope that you have liked our article on Air India Cabin Crew Recruitment 2018. If yes, then stay tuned for more updates!